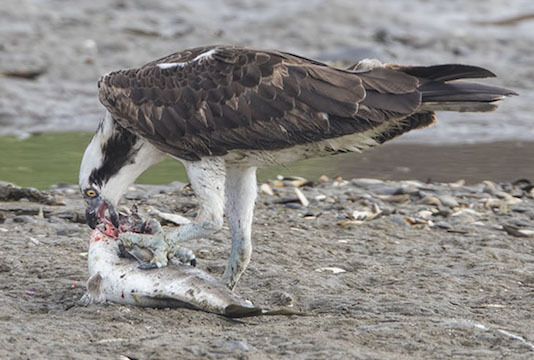 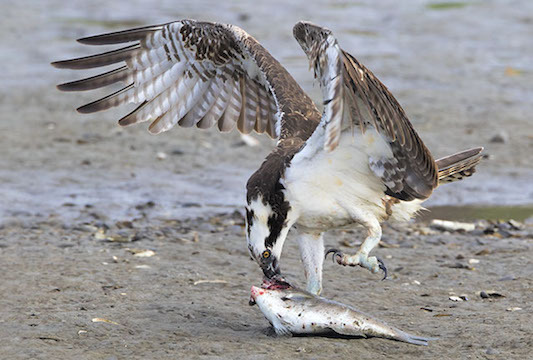 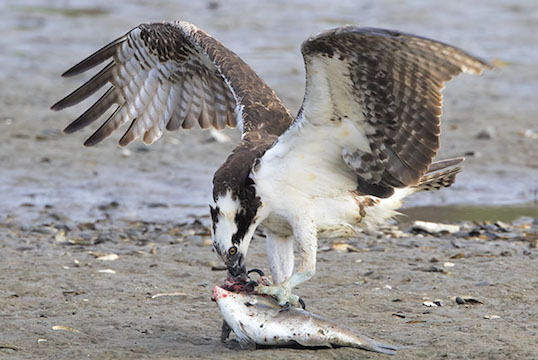 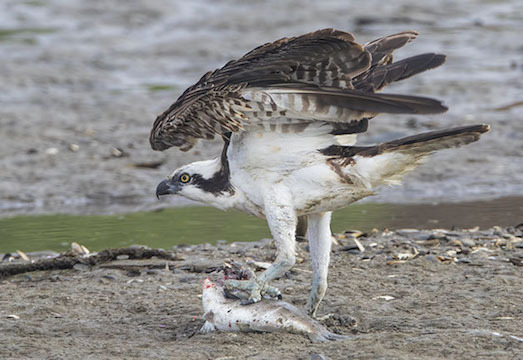 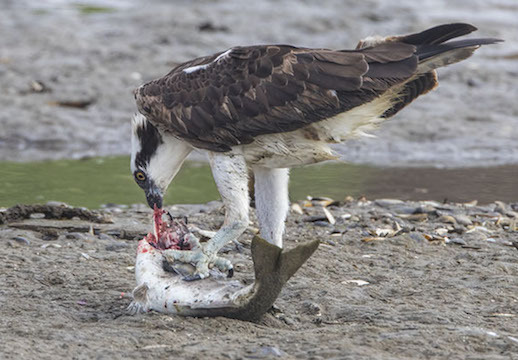 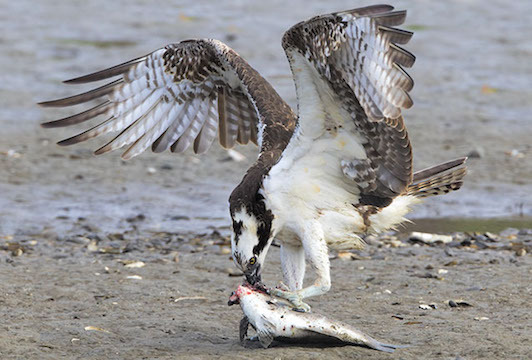 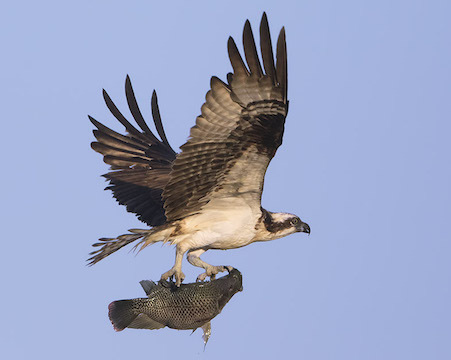 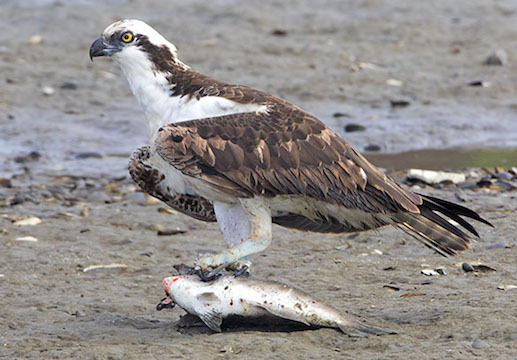 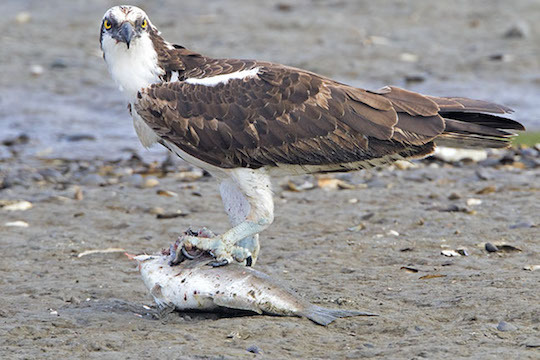 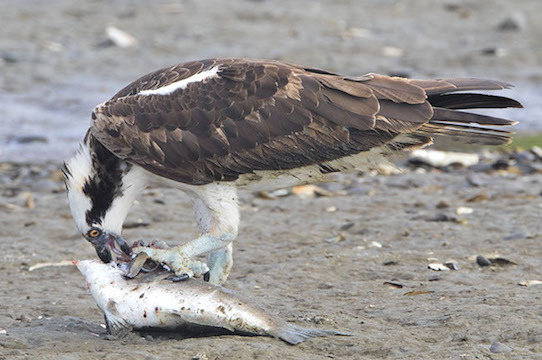 Ospreys are superb and highly specialized fish-catchers, sporting huge feet with spiny no-slip surfaces and meat-hook talons. 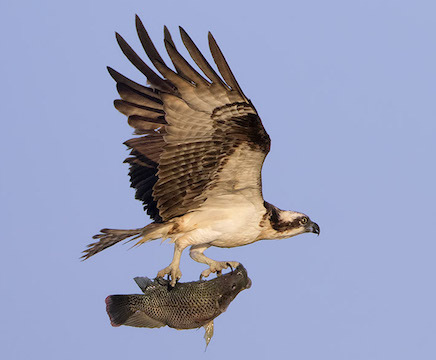 They fish by flying over the water and diving spectacularly on their prey with an impressive splash; captured fish are hauled away torpedo-style to a perch or nest. 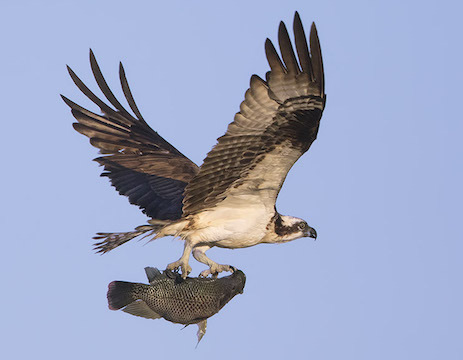 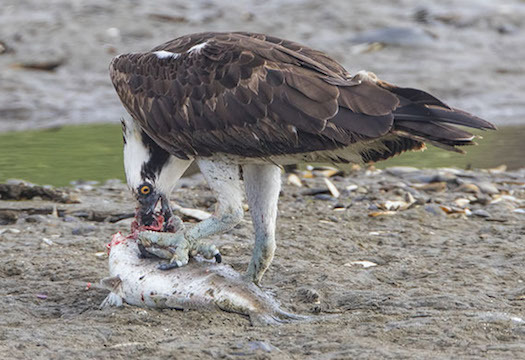 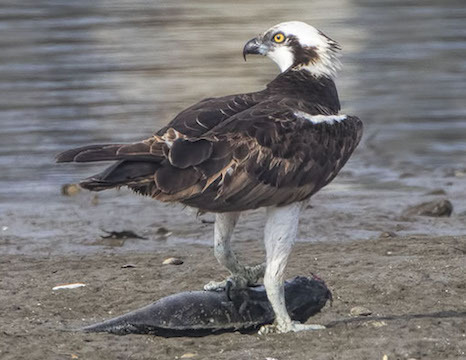 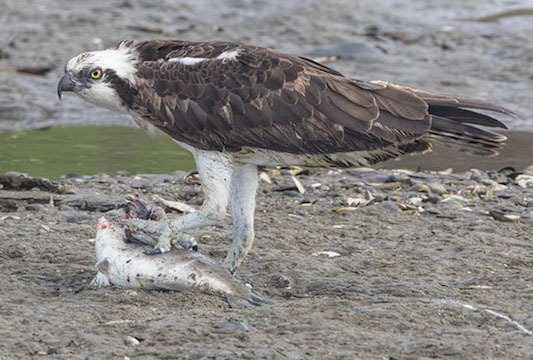 Or sometimes not: one of the birds shown here caught a fish that was too heavy to lift, so it 'rowed' to shore with its wings and ate the prey there -- still twitching for a while. 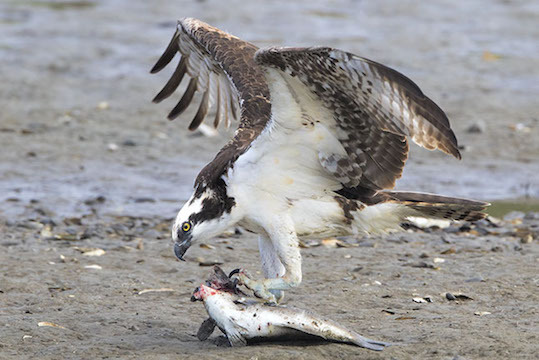 The photos were taken Bolsa Chica wetlands and the Salton Sea, both in southern California. 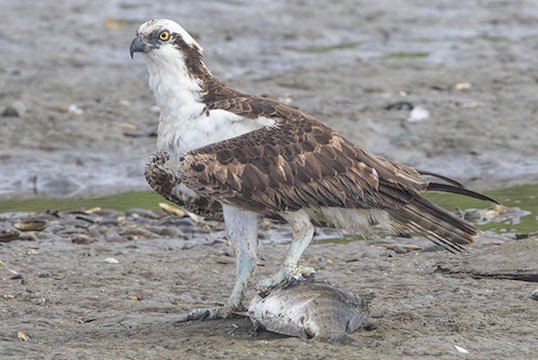 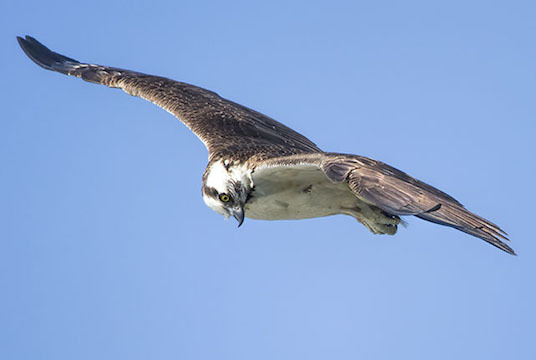 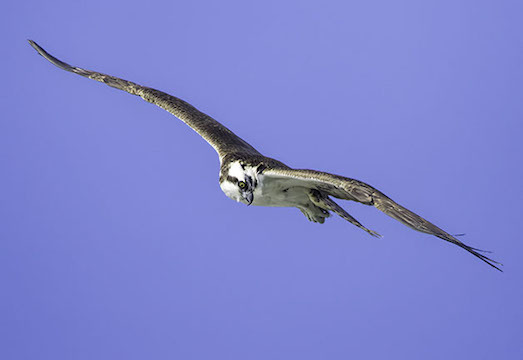 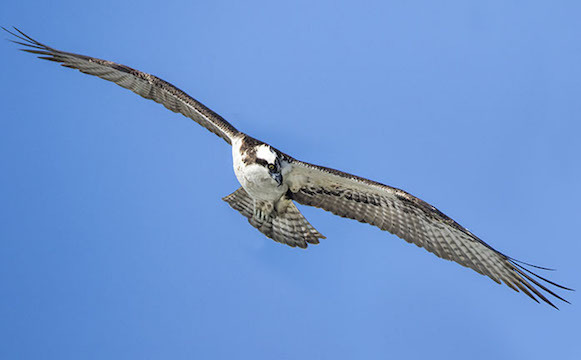 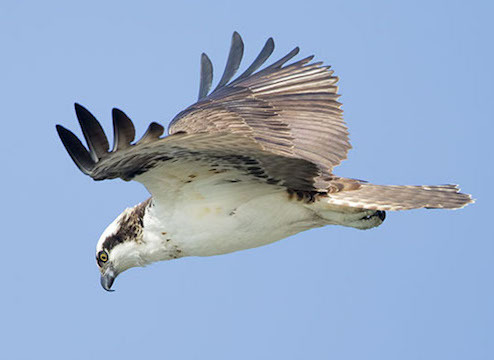 More images of flying ospreys are here, photos of other ospreys are here.